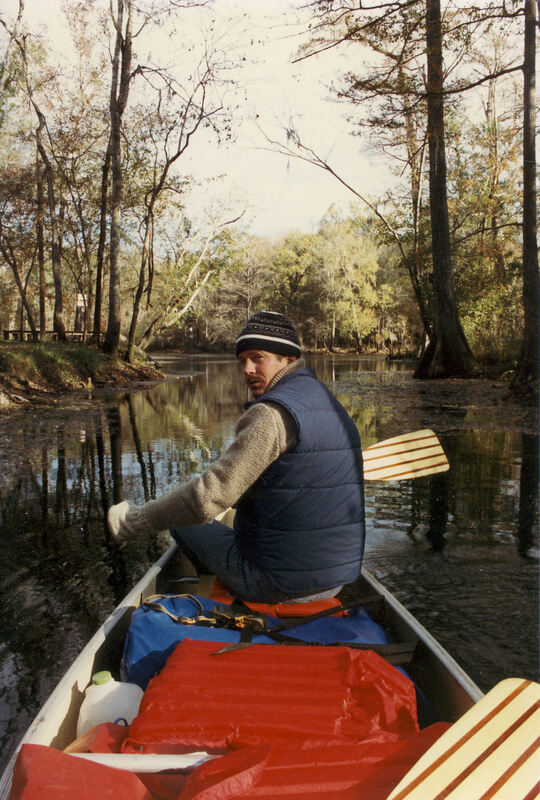 David and I went on a three day canoe trip down the Santa Fe River in Florida. Dad drove us to an overpass west of O'Leno State Park where we put in. It was in December so it as a bit cool but we had beautiful clear days. I was in the rear and David at the bow as we set off down the river. The Sante Fe is never a busy river but in December we did not see a sole for the first two days. The scenery was beautiful and the river calm. We paddled slowly letting the river do most of the work. Along the Sante Fe are many springs that empty into the river, Ginnie, Poe, Hornsby, Lilly, Rum Island, and Gilchrist Blue, to name a few, so we stopped and rested at one. 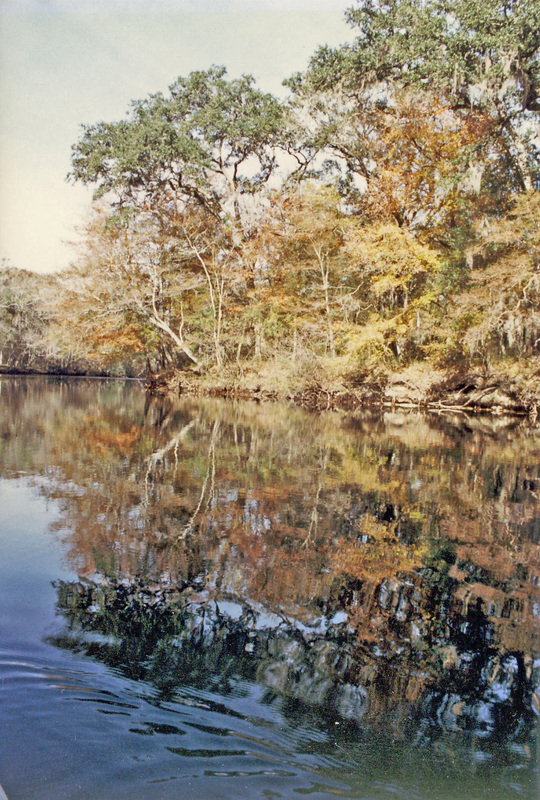 Ichetucknee Springs has long been a favorite to go tubing down. 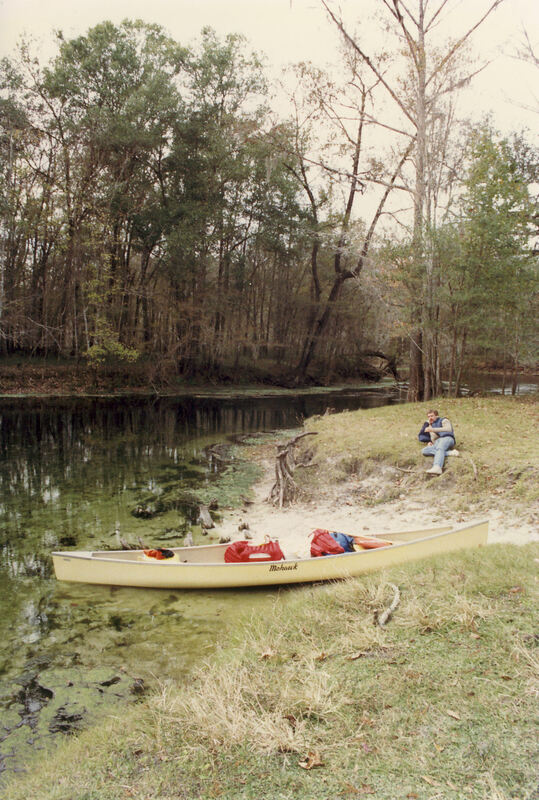 A few hours from reaching our destination of O'Leno State park we met a young couple in a canoe. 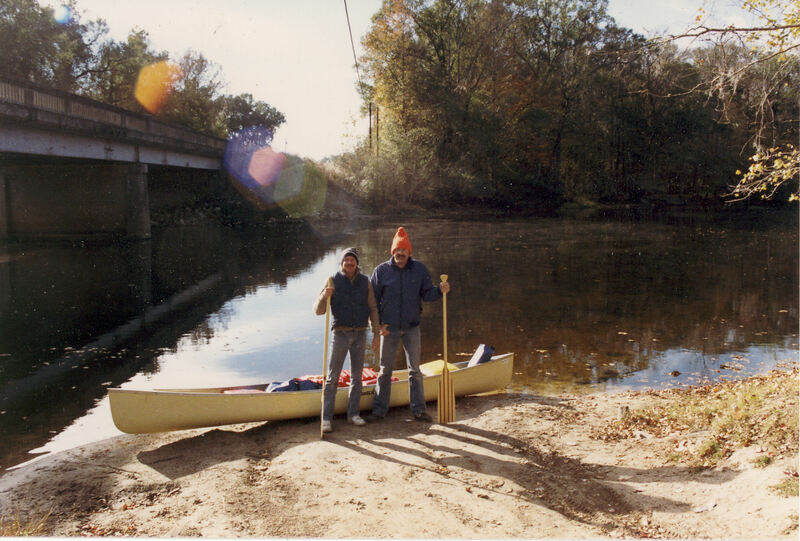 We asked them how far they planned to go and they said they hoped to go all the way to the Swannee river. So we then asked them how they planned to get from O'Leno park to River Rise park. They looked puzzled and asked what we meant and we told them that the river stopped at O'Leno and went underground and then reemerges three miles away at River Rise. They thought we were just kidding, boy were they in for a surprise. 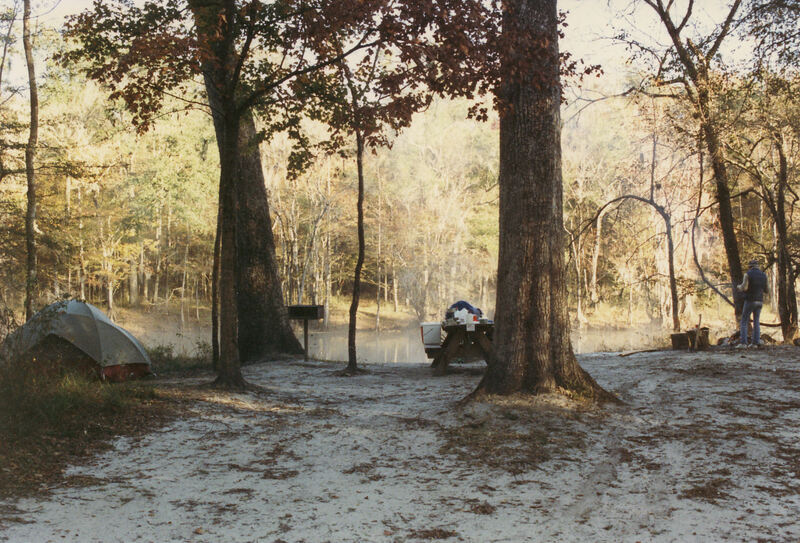 That night we pulled into O'Leno and camped and Dad picked us up the next day.